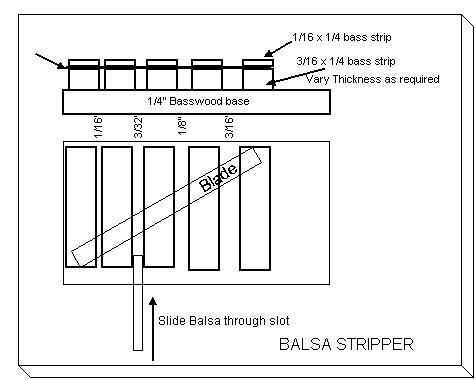 There are a number of commercially available balsa strippers available, but most involve the use of a thick blade such as Exacto #11 as cutter. I found home fabricated strippers using fixed thin razor blades to work well and give a more precise cut. I have made up a selection of them to cut various sized strips. 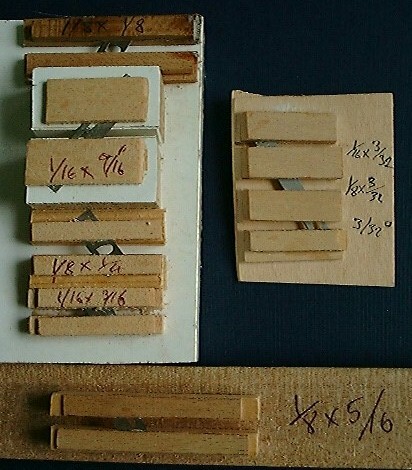 I use basswood of the required thickness as a base and glue on the razor blades at about 60 degrees to the line of the cut. A cap strip of basswood is then glued on to secure the blade. Various strippers can be made up to cater for different heights of strips.